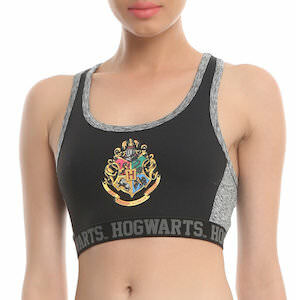 If you are a Harry Potter fan that likes to work out then why not do it while wearing this Hogwarts sports bra. The women’s sports bra is low impact and made from 86% nylon and 16% spandex and comes in many women’s sizes. 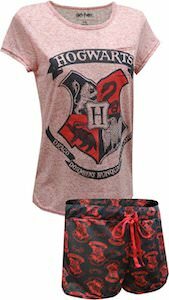 The Harry Potter sports bra is black on the front and back and has light grey panels on the side and the same grey around the edges. On the front, you can find the Hogwarts crest and on the band on the bottom, it will say “Hogwarts” over and over again. Now you can feel Harry Potter close to your heart especially when it is beating fast when you working out.